No matter what your skin type or condition, you can learn how to get soft skin with simple, natural tricks to reveal your personal beauty and healthy glow. Whether your skin is dry or oily, you can take steps to make it soft and silky, and doing so may be easier than you think. Using all natural soaps can help you avoid dry, damaged skin. Many commercial soaps contain harsh chemicals that can damage skin, so look instead for natural products with aloe, lavender, coconut butter, and other enticing ingredients. If you want soft skin, you'll need soft towels. Harsh towels can strip your skin when you dry off, causing redness and itching. Instead, use soft, fluffy towels and gentle patting to dry off instead of brisk rubbing. To keep your towels fluffy, wash them frequently but avoid fabric softener that can accumulate on the fibers. Hydrating your skin from the inside out is one of the most necessary steps to getting soft skin. Drink plenty of water throughout the day - the amount you need will vary based on your weight and activities. Take your body weight (in pounds) and divide it in half, and that is the number of ounces of water you should drink daily. Add more water if you are active or exercise frequently. Always protect your skin properly when you're out in the sun or it won't be as soft as you'd like. Use a high SPF sunscreen and apply it at least 15 minutes before sun exposure for the best results. Sunscreen should be reapplied every two hours - more frequently if you're swimming or sweating. For more sun protection, wear a hat and light clothing over your arms and legs to block out more harmful rays. A healthy diet is necessary to get great skin, and taking a good multivitamin can help you get all the nutrients and minerals you need. Look for supplemental vitamins with a wide range of nutrients, and especially investigate Vitamins C, A, E, B, and K, all of which are essential for healthy skin. 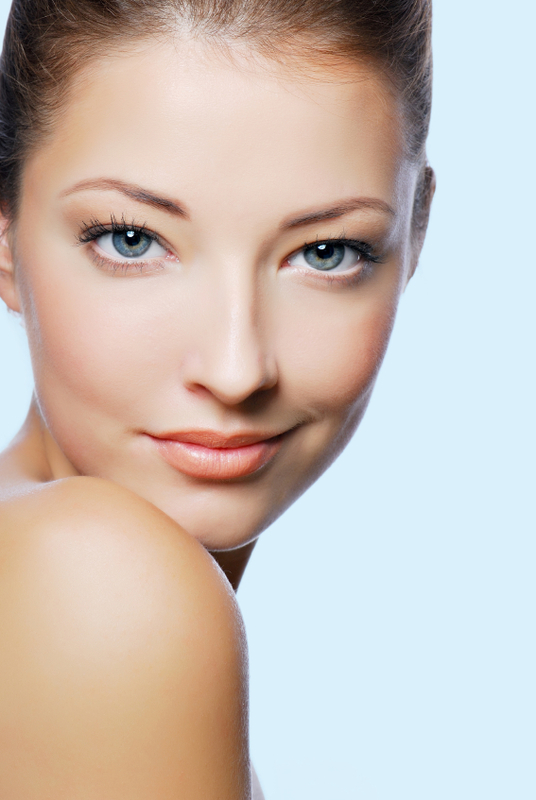 When you're working to get soft skin, pay special attention to any trouble spots of dry, rough skin you may have. Areas to give extra care to include the knees, elbows, knuckles, and feet, as well as any scars, stretch marks, or other problem areas you want to soften. Dry air can dry out your skin, making it rough and scaly. In extreme climates such as during the winter or in desert regions, consider purchasing home humidifiers to add moisture to the air in rooms you use the most. Both warm and cool steam can be helpful in humidifying the air and keeping your skin soft and supple. Using a good quality lotion and other skin care products can help you give your skin an added dose of softness whenever you need it. Look for products with natural ingredients, and try different samples to find one that works best for you. For the best results, use lotion daily or even twice a day to ensure your softest skin. Your lips can be some of your most sensitive skin, and they need just as much care to stay soft as the rest of your skin. Even if you have fantastic skin, dry or cracked lips can be uncomfortable and distracting. Use moisturizing lip gloss regularly, and opt for a product with sunscreen for outdoor wear. Adding soft socks to your skin treatment supplies can help you have soft, smooth feet. After exfoliating and cleaning your feet, apply a generous layer of rich moisturizer and put the socks on immediately. Leave them on for several hours (most easily done overnight) and enjoy soft, healthy skin. If your hands are exceptionally dry, using soft gloves and hand cream can be similarly effective. Regular exfoliation will remove dead, dry skin cells and reveal younger, healthier skin. Natural loofahs, pumice stone, walnut scrubs, sea salt, and body sugars can all help you exfoliate with ease. For more extensive exfoliation, consider specialty spa treatments and body wraps with exfoliating properties. A healthy diet is essential for having soft, beautiful skin. Eat a balanced diet rich in vitamins, minerals, and nutrients, but avoid overly greasy or fatty foods and empty calories. Fresh fruits and vegetables, whole grains, and lean meats are great components for a diet for healthy skin. If your ethnic background bring challenges to your skin care regimen, you will need to choose the right products for your skin type. Consult with a dermatologist experienced with different types and colors of skin for recommendations about how to get soft skin for your body chemistry and skin care needs. Soft skin is healthy and beautiful, and if you take the right steps for how to get soft skin, you'll be able to enjoy the benefits of a gorgeous complexion, smooth hands, and wonderfully touchable skin.